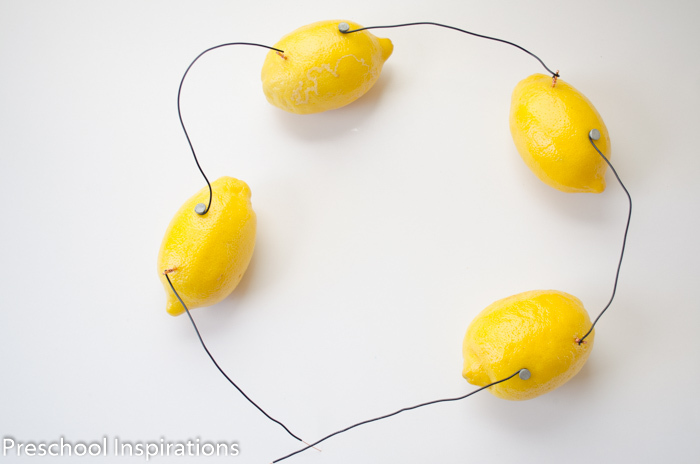 When life gives you lemons, make electricity. This is a fascinating science experiment using lemons to make batteries and power a colored LED light. It is also a great STEM activity. I am super excited about this post because it is by my husband, Mr. Preschool Inspirations. I totally married a science whiz, and I can’t wait for him to share his expertise! I can remember as a boy watching Don Herbert, better known as Mr. Wizard, perform experiments of all types. It seemed like the simple things of nature had so much hidden discovery to unlock. The world my kids are growing up in is much different, but the hidden science is still there. When I was in elementary school, my teacher showed us a clock being powered by a potato. In college, I learned how and why it worked on a molecular level. Now that my kids are growing up in such a technological age, they take the simple battery for granted. However, when I came home with a bag of lemons and I told them that they were batteries in hiding, they couldn’t wait to find out how. Now, there are a couple of things to know right off the bat. We aren’t going to be able to replace your car battery with a crate of lemons. You also need to choose your lightbulb wisely. I used a 3 Volt (abbreviated V) LED that I picked up from Radio Shack. You could also get them at Amazon (in large quantities). 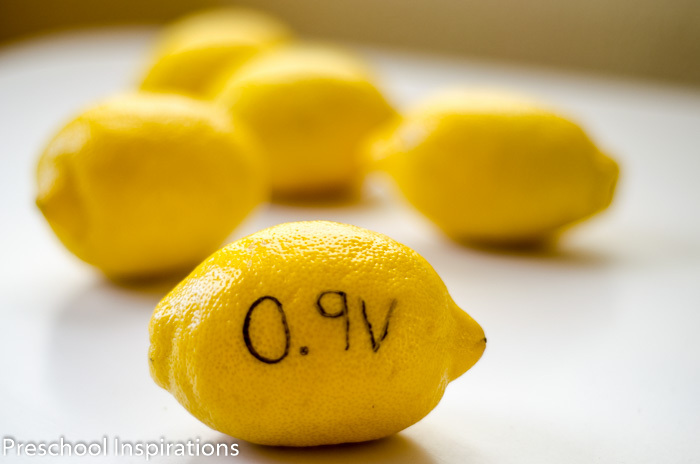 Each lemon will produce about 0.9V. So to power my 3V LED, I was going to need at least four lemons. The next two items that we need are copper and zinc. Copper is easily available. I used wire that I had from a remodeling project. The neutral wire is already stripped and ready to go. You can also use pennies or other copper coated coins. 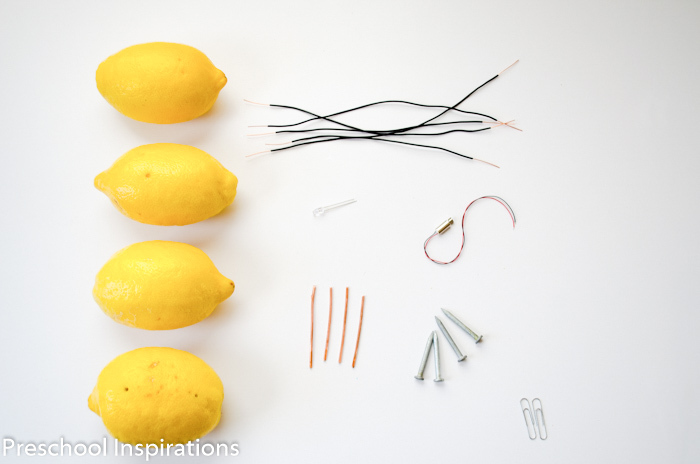 If you use the coins, attach the wires running from lemon to lemon with paper clips. Then you need some small gauge wire for the connecting wires. You’re probably thinking “where am I going to find zinc?” You probably already have some if you have galvanized nails lying around in the toolbox. Start by putting the copper on one side of the lemon and the nail on the other. 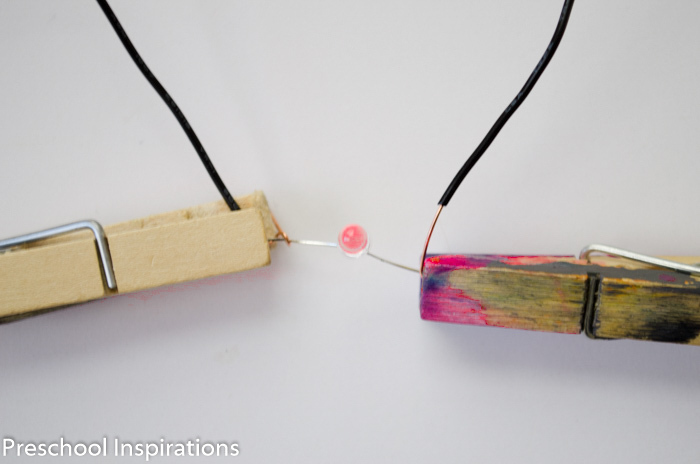 Put the small wires on each by stripping a small portion and wrapping it around the copper and nail. Connect the nail to the copper on the next lemon with a wire and repeat until all four are connected and that’s it. The power is very low, so don’t worry about shocks to little fingers. Take the LED and touch the long side to the copper and the shorter side to the Zinc. This is important. If you don’t see any light, you probably hooked it up backward. The light will be dim and best viewed from above, but it will run for hours. It all has to do oxidation. The zinc’s electrons are not held as tightly together as the copper. So the copper wants to accept the electrons. This creates electron flow which is better known as electricity. The lemon is a very good bed for this chemical reaction to take place. 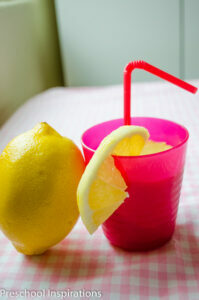 Why is that, well the lemon contains a high concentration of acid which is an electrolyte. So apples, potatoes, and many other fruits and vegetables will work. 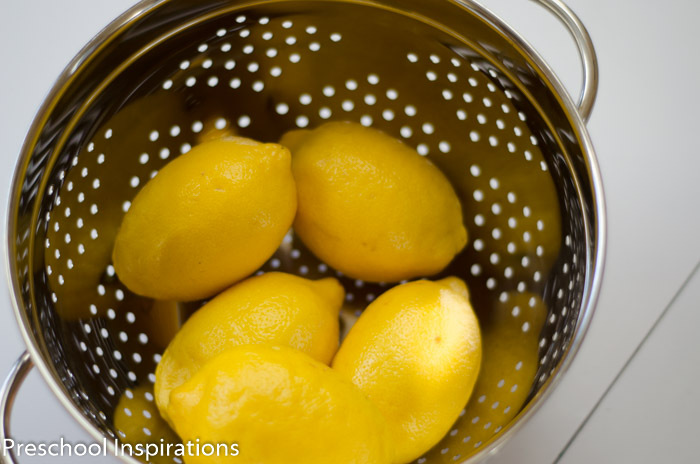 Lemons can be used to run many things such as a cell phone, a flashlight, and even a laptop to name a few.